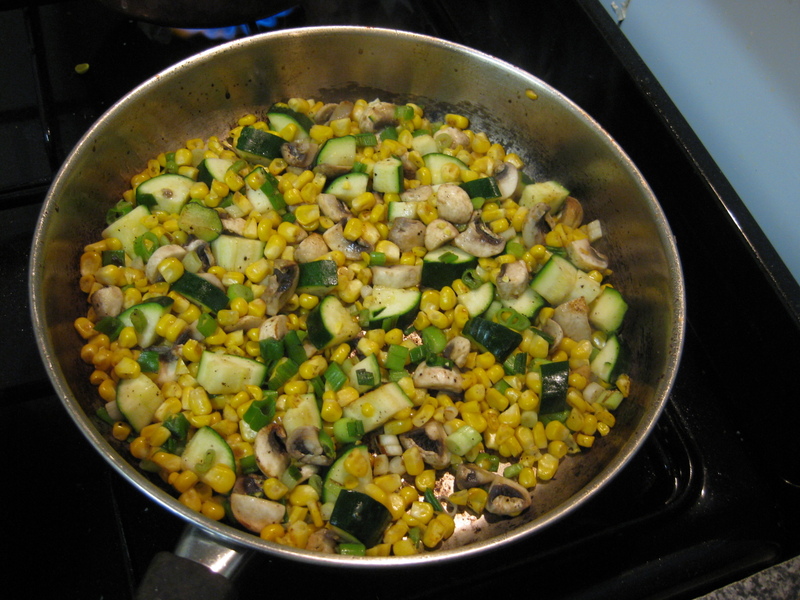 This is a kind of succotash, but I think nature of the dish means that it can be made using what ever is at hand and in season. It is supposed to be primarily made of corn, which this one is….plus some other goodies. It is as simple as dicing and frying up your favourite veges. However, I do believe that this combination is particularly good and worth sharing. 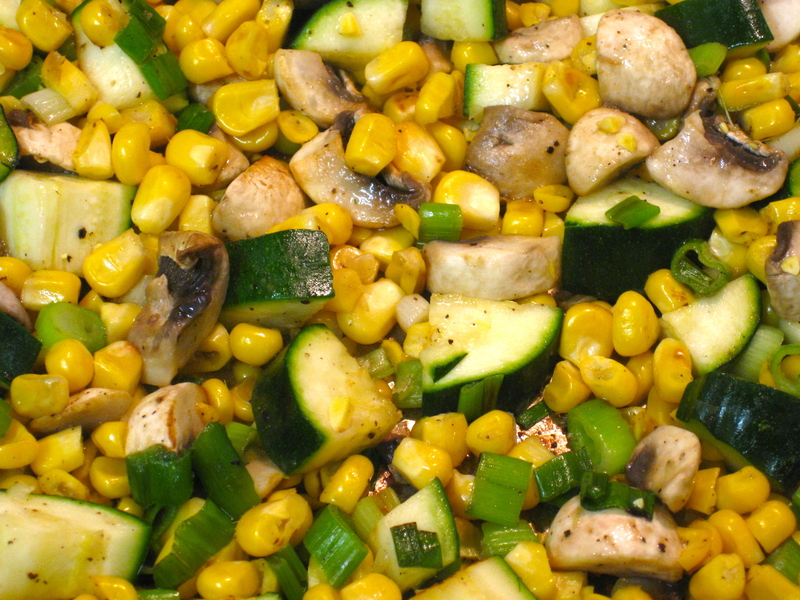 Dice a few shallots, and zucchinis, mushrooms and corn cut freshly off the cob. Put a little olive oil in a frying pan and throw it all in. Season well, heavy on the pepper. It’s ready when the zucchini is done, because all the other vegetables will be cooked through sooner. I like to serve this side with grilled fish or meat and some roast potatoes for a fairly healthy and low fat dinner.